Want to enjoy music on your road trip or while you’re lounging at the beach? 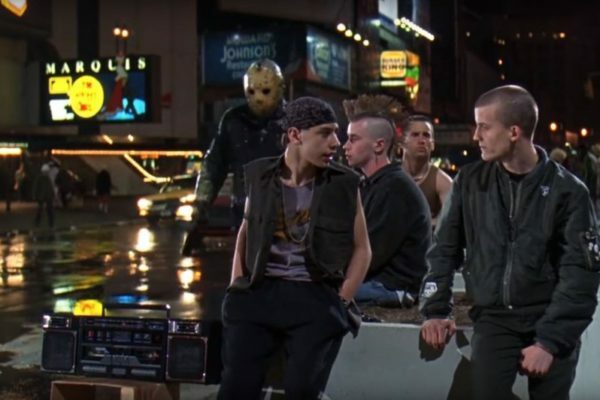 A portable and wireless boombox speaker is what you need! Small, lightweight, and wireless, this device offers you the perfect solution to stream music wherever you may be. 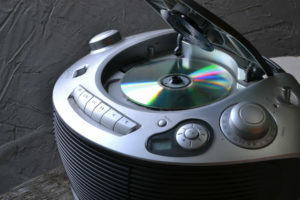 Plus, without the price tag of a home stereo system, they are a good option for small to medium spaces. Moreover, if you’re looking for something that offers you an easy connection between your phone and the speaker, then NFC, NFA, and Bluetooth-enabled speakers have your back. 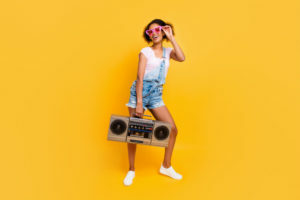 And one popular device that promises instant connection is the BoomTouch Wireless Boombox Speaker. Celebrated for its Near Field Audio technology, this product is worth getting acquainted with. Check it out in this article. Audio quality is decent and the volume is quite loud. Truly universal. As long as your device has an external speaker, the BoomTouch speaker can work with it. Works with phones with cases, but the sound can be a bit muffled. Remove the case for optimal results. Comes with an audio port and using it with the auxiliary cable sounds better than utilizing the Near Field technology. Great battery life; it can last for more than 20 hours on low volume. Battery-operated. No need to be near an electrical source. Doesn’t come with a Bluetooth connectivity option, limiting the use of your phone since it has to be stationed on top of the device. If you’re using the auxiliary cable, it’s on a relatively short leash. If you’re using it as a speakerphone, then you can hear the other person louder, but your voice will not necessarily sound louder for the other person. 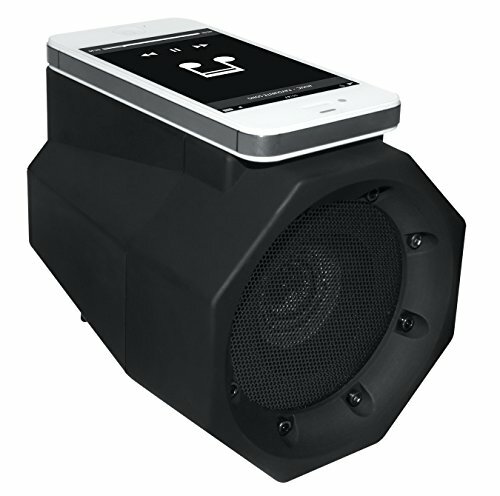 The BoomTouch Wireless Boombox Speaker uses NFA technology to play sounds and amplify music. Simply lay your phone on top of the device, and the box will pick up the sound and amplify it using its internal speakers. Android, iOS, non-smart phone, or what have you, the BoomTouch Wireless Boombox Speaker can work with it as long as it has an external speaker. Without the need for battery-draining Bluetooth connectivity or troublesome cable wires, this device can operate with just your phone and the speaker itself. Simply put your phone on top of the device, and it will instantly stream music playing on your gadget. Alternatively, you can connect to the device through an auxiliary cable so that you can still tinker with your phone as it plays music. To enjoy its wireless music listening feature, the BoomTouch Wireless Boombox Speaker runs on three AA batteries. Take it with you in the car, by the pool, at the beach, or wherever you go. The BoomTouch Wireless Boombox Speaker can also be connected to a power source if you don’t like using batteries. 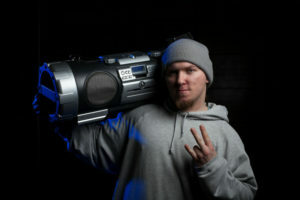 The BoomTouch Wireless Boombox Speaker offers a universal system to music lovers of the world. Andriod, iOS, or non-smart phone users can use the speaker to amplify the sounds of their mobile device without the need for wires or cables. With its Near Field Audio technology, it also eliminates the battery-draining feature of the Bluetooth connection system. If you are impressed with NFA technology of the BoomTouch Wireless Boombox Speaker but looking to address a few lacking features, then the Tekit Sports Wireless Bluetooth Speaker is worth a look. 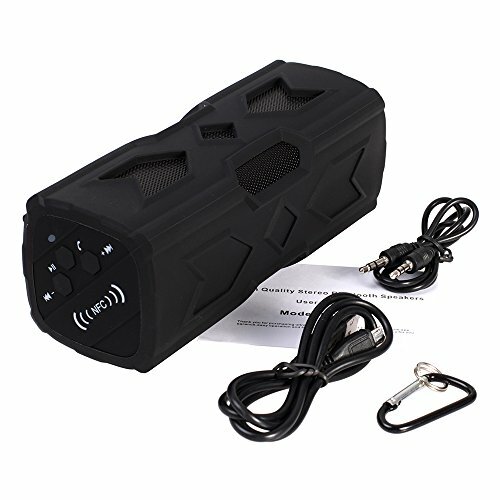 Unlike the product-in-review, the Tekit Sports Wireless Bluetooth Speaker is equipped with a rechargeable 3.7V, 3600 mAh lithium-ion polymer battery that eliminates the need for external batteries. This makes it a more cost-effective option. Additionally, the Tekit Sports Wireless Bluetooth Speaker has volume and playback controls on the device itself. 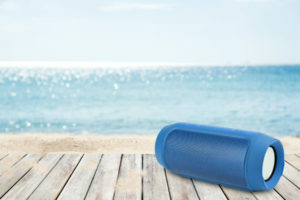 Also, the speaker boasts of a water-resistant, shock-proof, and sand-proof design that makes it ideal for indoor and outdoor use. But what you’ll love about the Tekit Sports Wireless Bluetooth Speaker is a similar technology that allows you to pair your mobile device with the speaker with one touch. 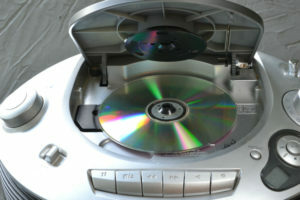 Using Near Field Communications (NFC) technology, the device can stream music while the phone is placed at a very close range to the speaker. 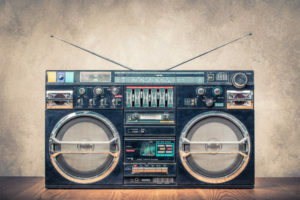 Very much like the NFA technology used in the BoomTouch Wireless Boom Box. The only downside to this is that unlike NFA, NFC is somewhat limited to the types of devices it can support for this feature. Whereas with the BoomTouch Wireless Boombox that can work with any device with external speakers, including non-smart phones, the Tekit Sports Wireless Bluetooth Speaker only allows NFC-enabled Bluetooth smart devices for that particular feature to be enjoyed. Still, whether you have an upgraded phone equipped with NFC technology or an older Bluetooth technology, this speaker is a great music device alternative. While the product-in-review works only when your phone is either on top of the device or a short leash using the auxiliary cable, this one comes with a traditional Bluetooth pairing capability that allows you to multi-task at a 30-foot range. 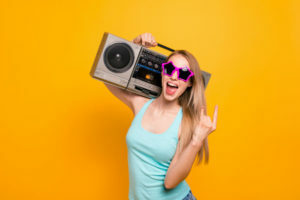 If you’re looking for a no-brainer yet a mind-blowing system to stream music, then the BoomTouch Wireless Boombox Speaker is sure to delight and indulge. 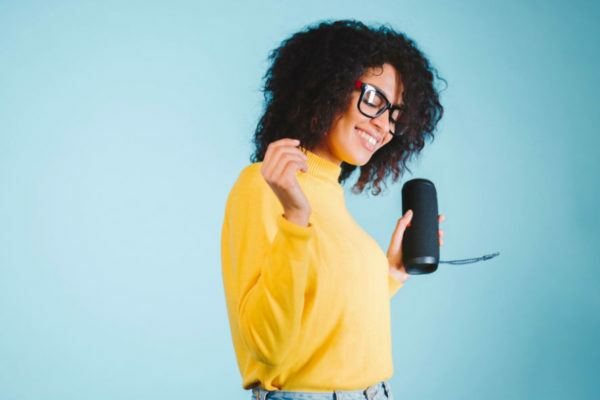 With its NFA technology, all you need to do is put your device on top of the speaker, and it will instantly amplify the sounds and music coming out of your smart or non-smart device. That’s right! You don’t have to have the latest gadget for it to work. If your phone has an external speaker, then it will work with the BoomTouch Wireless Boombox Speaker. However, if using external batteries is a deal-breaker for you or if you like being able to use your phone while streaming music, then you will have to pass up on this one.